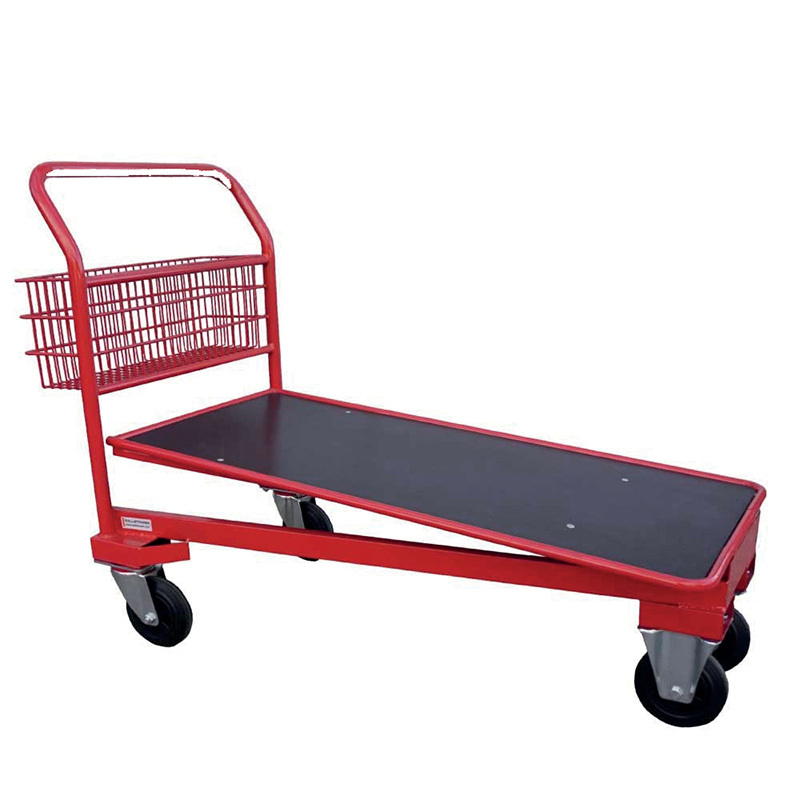 A familiar sight within retail environments such as supermarkets, warehouse and cash and carry stores, this range of nesting trolleys are capable of handling weights up to 500kg. Each trolley is fitted with a handy basket which makes carrying lots of smaller items a doddle. The tough construction includes a sprung plywood base and four large rubber tyred castors which enable slick manoeuvring around corners. Finished in a red powder paint, these stock trolleys are sure to provide many years of trusty service.